Happy July everyone! Although I'm in Guatemala, I am excited to share with you all an awesome event coming up in the Southern California region! 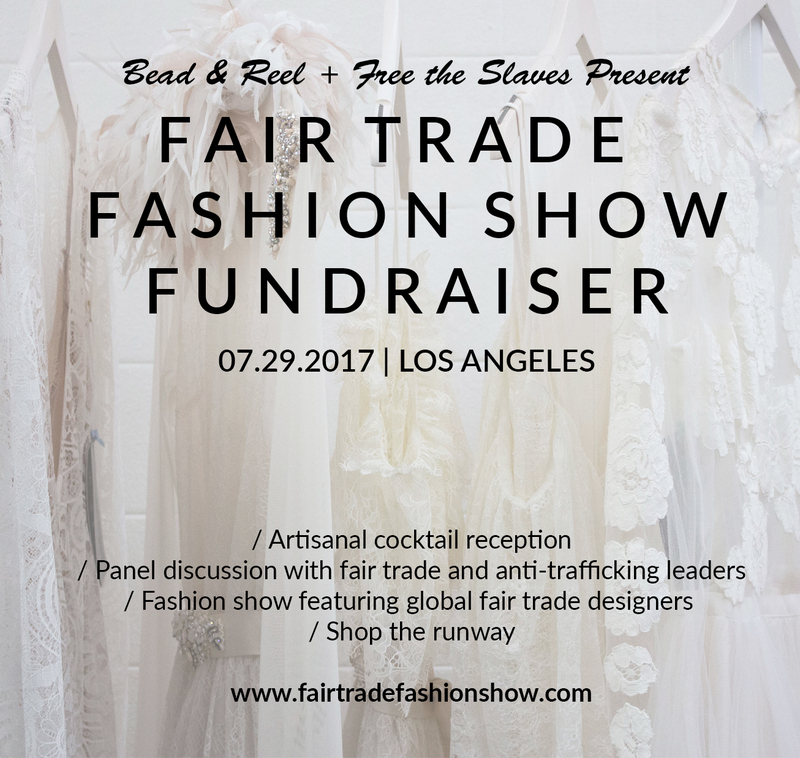 The ethical fashion boutique Bead & Reel is putting on the third annual Fair Trade Fashion Show Fundraiser in Los Angeles, California. 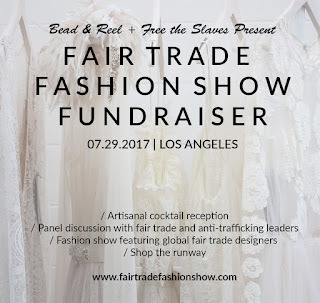 This fashion show uses fair trade and sustainable fashion as a platform to raise awareness about the realities of human trafficking (slavery happening today). 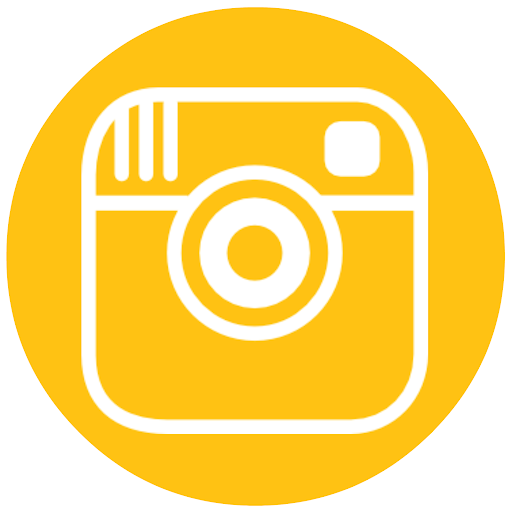 It is also a way to educate us consumers on fair trade fashions that are modern and follow current trends. 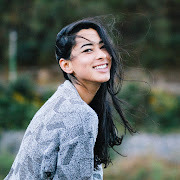 A lot of people think that fair trade products are soaps and ugly scarves that look like they are from the 90s, however, just look around my blog and you will see that it is no longer true! My style ranges from classic cuts to comfy casual wear! Three years ago, when I was interning at Sudara Goods, Bead & Reel held their first fashion show fundraiser. Unfortunately I could not make it, but if I was there this year, I would so be there! Let me know if you go and let me know how it goes! Thank you for making an impact with your purchase and your time, because investigating ethical fashion isn't always easy. YOU ROCK!